Learn remote viewing and experience the same amazing insights shared by top secret military personnel. Do you ever wonder what it would be like to gain information about a person even if they are located far from where you are? Do you want to be able to access information about different events from the past, present or future? Do you want to develop the ability to remote view and enhance your practice at a faster rate? Remote viewing began as a U.S. government program to research the use of military personnel using their minds to view enemy targets and gather information. That may sound like science fiction but it isn't. It actually worked and anyone , including you can learn remote viewing. This skill requires you to be able to focus for long periods of time. 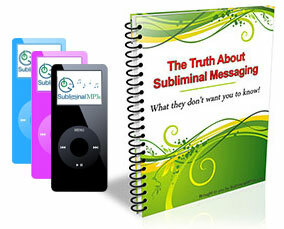 This subliminal mp3 will help you learn remote viewing by enhancing your ability to concentrate on a much deeper level. The more you listen, your ability to remote view will improve more each day. You will become more and more accurate and viewing will become almost second nature to you. Just listening won't make you a remote viewer. You'll need to engage in regular practice and in time your ability to remote view will get better and better. However, if you are serious about developing your skills then this album can help you to enhance your abilities and improve your rate of development. This album will work on changing your your mindset when it comes to remote viewing. You may want the experience of remote viewing but your mind may not have the level of focus and concentration you need in order to be successful. So this album will begin the process by introducing new thoughts directly to your subconscious mind to help you to focus and enhance your concentration. You will begin to notice subtle changes in your ability to focus and concentrate and you will start to really immerse yourself in your remote viewings deeper than ever before. Remote viewing also heavily relies on your ability to visualize and create pictures in your mind’s eye. This album will help you to visualize clearly and accurately. You won’t break off in you visualizations, you will get more and more control over your mental images and you will be able to see much more clearly. After some time listening to this album and practicing your remote viewing skills you will feel things start to come more and more naturally. You will enter the right state of mind required for remote viewing more naturally and you will have clearer and clearer visions and be able to interpret them more and more accurately. Ultimately remote viewing will stop being such a struggle or a foreign activity to you, and simply become part of who you are and something you enjoy doing. Download this mp3 today and see how far your mind can take you when you learn remote viewing.